How many artists today would willingly embark on a path so seemingly solitary as that followed by Klaus Friedeberger? Now in his ninth decade he continues to paint with little regard for the usual support network – the periodic exhibitions and moments of critical attention – often seen as vital to sustaining an artist’s career. That it should have taken so long for this work to become even partially visible (with a selection of paintings from the last two decades currently on display at Delahunty Gallery) is due both to personal choice and life history. After arriving in the UK from Berlin in 1939, his life became that of a peripatetic exile, first interned in this country and then transported as an alien to Australia, where his art education continued erratically, initially under the guidance of fellow European refugees and then through exposure to the work of Nolan, Boyd and the ‘Angry Penguins’. 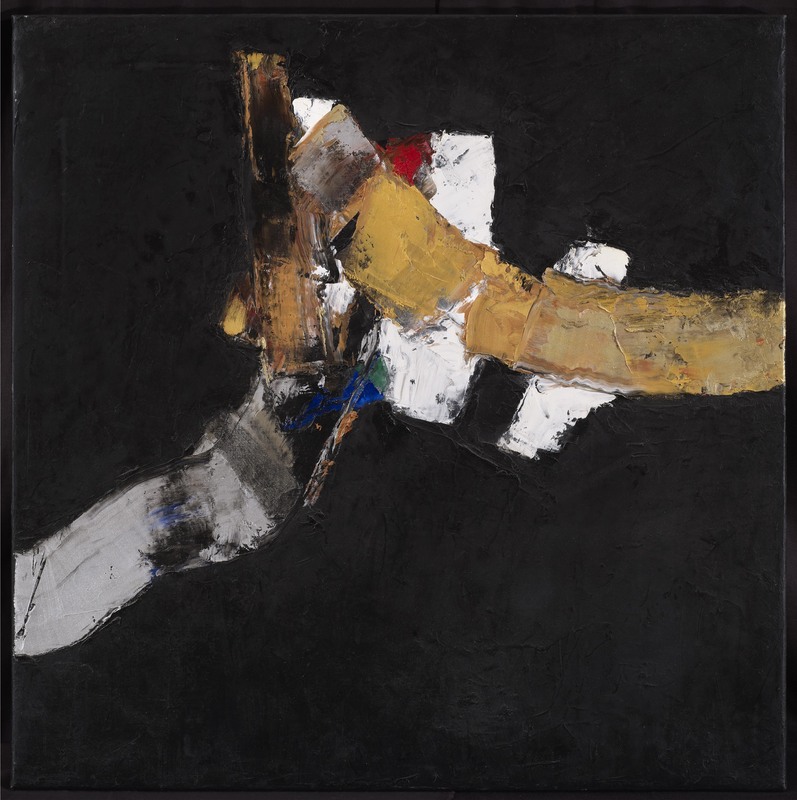 But by the mid 1960s, when he was again settled in London, he had not only turned away from prevailing currents in British and American art – Pop art, colour field, minimalism – but decided to pursue a patient and decades-long private enquiry into the structural dynamics of abstract form rendered in black and white paint. It was the act of an outsider more philosophically attuned to existentialist practice, as well as to Tachist painting and the writing of Samuel Beckett.